If you want to buy your own home and do not have the cash for a down payment, you are not alone. Millions of first-time buyers in particular lack the cash for that all important down payment. But if you lack the dough for a down payment, you should not be discouraged. There are several ways to get into a home with no or low-down payment and a good interest rate with a trusted mortgage program. The USDA Rural Development mortgage program is quite popular; it even often runs out of money before the end of the fiscal year. This home loan program is backed by the USDA, much as FHA backs its loans. If the buyer defaults on their USDA loan, the USDA reimburses the lender. The USDA home loan is a 100% financing loan, so you do not need a down payment. The program is intended for people with lower income. Generally, your income cannot be higher than 115% of the median income for the area in which you are buying. Another consideration is that you need to buy a home in an area that USDA designates as ‘rural.’ This does not necessarily mean that you must live on a farm. There are some homes available in areas outside of major cities that can qualify as rural under USDA guidelines. The rates for USDA loans are sometimes the same or lower than FHA rates, so you will get a good deal even if your credit is not that great. You do need to have at least a 640-credit score to qualify for USDA however. This no down-payment loan program also does not have mortgage insurance required, so you can save quite a bit over FHA loans, which require mortgage insurance. 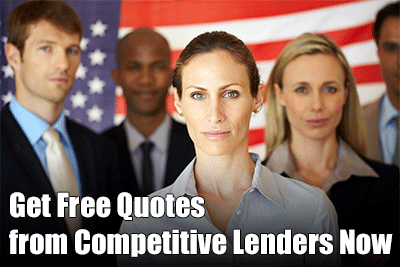 The Department of Veterans Affairs or VA guarantees mortgages without a down payment required for veterans who qualify. It also is available for active duty service members and some members of the National Guard and Reserves. Private lenders originate the loans and the VA guarantees them. You do not need to pay mortgage insurance, and you can get 100% financing in most cases. The rates are lower than FHA. If you are a qualifying veteran or current military member, the VA program is the way to go to get a 100% financing loan with a great interest rate. Check today’s VA loan requirements to determine your eligibility. Navy Federal is the largest credit union in assets and membership in the US. It offers 100% financing to members who buy primary homes. To be eligible, you need to be a member of the military. Some civilian employees of the military qualify as do workers for the Department of Defense. The best option for most people with little down payment money is a Federal Housing Administration or FHA loan. These loans are backed by the federal government, and this means that more lenders are willing to extend credit to people with a limited down payment and average or poor credit. Most people with at least a 580-credit score can get a home loan with a 3.5% down payment. While that is not zero down payment, it is still a reasonable amount that most people can save up with some financial discipline. There IS one way you can get an FHA home loan with zero down: Get a friend or family member to provide you with a gift for the down payment. FHA allows this. The only requirement is that you present the lender with a letter from the gift giver, stating that the money is a gift. In that way, you can get an FHA loan with zero down. As far as the interest rate goes, you might think you would have to pay a high rate with this program, but that is actually not true. Because the FHA backs the loan, you can get a very reasonable interest rate that is often below market rates. For example, with conventional rates now around 4.75%, you may be able to get an FHA loan with a 4.6% or so rate. Not a bad deal with little or no money down! Those are most of the no down payment options available today in the US. But Fannie Mae and Freddie Mac do offer some low-down payment programs for those with decent credit. Both offer 3% down home loan programs with a good interest rate if you have a 620 to 640 credit score. You can also get that down payment in the form of a gift, so these CAN be 100% financing programs in some cases. As you see, there are many options for buyers who have little to put down on a home. Talk to your lender today about your possible home loan, low money down options.